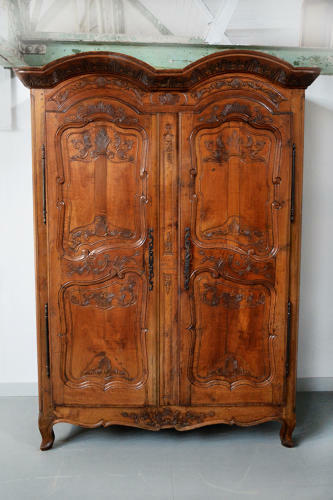 the armoire would have been presented to the newly wed couple as part of the wedding celebrations. Often wheeled out on the back of a horse and cart. The names and date are carved into the doors of the armoire. The double domed top is very specific to the town of Rennes in southern Brittany. This piece will dismantle for delivery.